COLOURFUL trainer Kevin Pizzuto has had another change of heart. 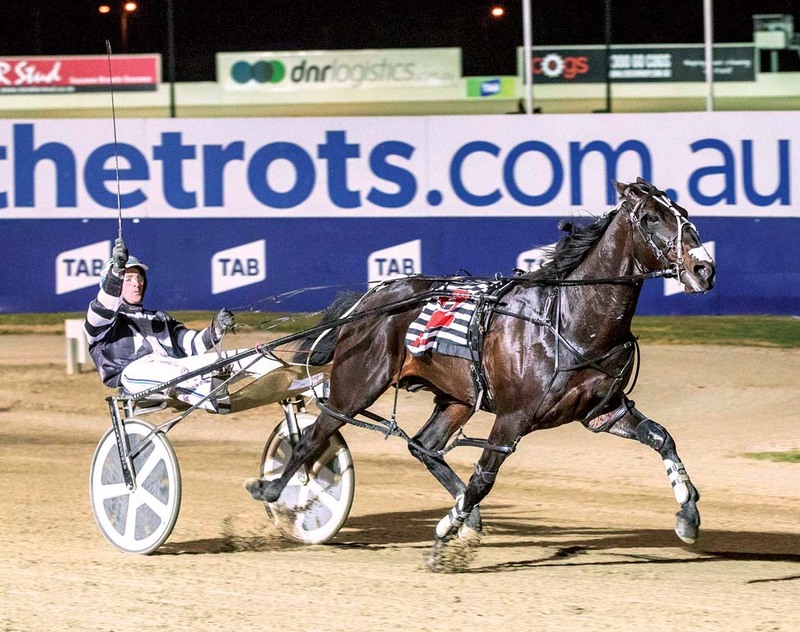 Originally looking to contest Saturday night’s Cranbourne Cup with Tiger Tara, Pizzuto decided against the trip following the stallion’s win at Tabcorp Park Menangle last weekend. By the time acceptances for the Victorian-based feature were due this morning, Pizzuto reverted to his initial plan and will race Tiger Tara in the Group Two. “I was and I wasn’t going to take him down for the Cup, but a few things came into play, so we are going,” Pizzuto said. “I wanted to race him again this weekend anyway, and except for the long trip down, this race suits him better. To Pizzuto’s dismay, however, Tiger Tara is the sole starter from the second row after receiving barrier eight due to the preferential draw conditions. Citing Shadow Sax as the one to beat, Pizzuto expects San Carlo and Carlas Pixel to play major roles in the finish. Enjoying no luck in the Victoria Cup – won by Tiger Tara – a fortnight ago, Shadow Sax will begin from the outside of the front line. Recently-crowned Victorian Pacing Mare of the Year, Carlas Pixel has drawn barrier five, with San Carlo to come from gate six. Carlas Pixel finished in the Victoria Cup, while San Carlo scored at Mildura two weeks ago when first-up from a seven-month break. “Shadow Sax didn’t have anything go his way the last time we raced him and remains the one to beat,” Pizzuto said. “You can also expect him to be better after two runs back.